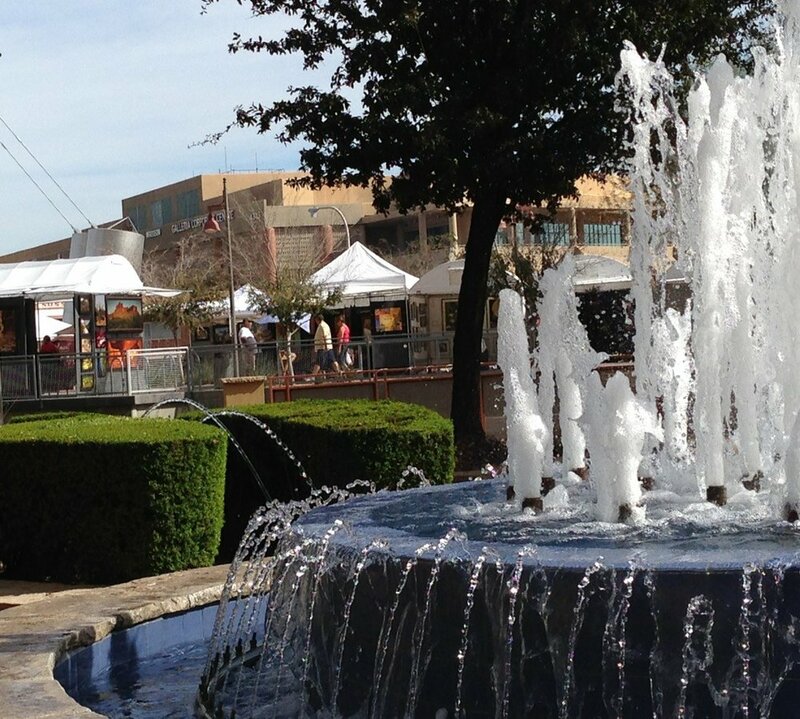 Visit Thunderbird Artists 9th Annual Scottsdale Waterfront Fine Art & Wine Festival; Feb 7-9. Award-winning artists; paintings, sculptures & more! Free public parking on the North side of the canal in the public parking garage adjacent to Nordstrom’s (over 2,000 spaces). Please be vigilant about the timed spaces. The Scottsdale Waterfront truly is the most sophisticated and stylish community in Downtown Scottsdale. The newest 1.1 million square foot development revitalization project of downtown has become the place to visit, be seen and shop. The waterfront has banks landscaped with festive palm trees, dramatic flowers, spectacular public art sculptures and fountains, plus open air courtyards that give the area a European flair. The Waterfront is located minutes away from 500 specialty shops, boutiques, over 75 contemporary, upscale restaurants and outdoor cafés, high-rise residential buildings and the Scottsdale Art District. The event is located just south of Nordstrom’s on the South Bridge pedestrian walkway and is handicap accessible with free parking. The hours are 10am to 5pm daily. Admission is $3.00 for adults. Mark your calendars to ensure you don’t miss the Waterfront Fine Art & Wine Festival this February! Al Glann’s passion for horses started at a young age. He grew up on a farm, but never owned horses, so he spent his time imagining what it would be like to have one. Now, he loves to create horses in action, a gestural 3-dimensional drawing with metal. His style has become his signature, exaggerating the form, giving it a sense of what he sees and feels it to be. “I love to work with the line, weight, movement, the essence of the form, the negative space in defining the form and character. I strive to capture the personality and spirit of horses, more than a specific realistic representation of one particular horse.” The process is a bit unique in that each piece is originally created in steel. From that point, the original is cut apart, molds are made, and from there he starts the lost wax technique of creating a bronze horse. Recently Glann has expanded his subject matter beyond the equine to include birds of prey, moose, cattle and buffalo. His work is in public and private collections throughout the United States, England, Canada, and Italy. In addition to Al Glann, 125 juried fine artists from throughout the U.S. and abroad, will be on the Waterfront displaying original artwork in a variety of mediums. Paintings, sculptures, jewelry, photography, pottery, baskets, wood, glass, stone; these are just a few examples of some of the mediums that will be on exhibition throughout the 3-day event. Patrons can leisurely stroll through fine art, while sipping on world-class wines and listening to live music. For $10, patrons will receive an engraved souvenir wine glass and six tasting tickets, providing a unique opportunity to sample an extensive collection of domestic and imported wines, as well as cocktails and ice cold microbrews.